Dr. Crocker has been involved in the Internet since its inception. In the late 1960s and early 1970s, while he was a graduate student at UCLA, he was part of the team that developed the protocols for the Arpanet and laid the foundation for today's Internet. He organized the Network Working Group, which was the forerunner of the modern Internet Engineering Task Force and initiated the Request for Comment (RFC) series of notes through which protocol designs are documented and shared. For this work, Dr. Crocker was awarded the 2002 IEEE Internet Award. Dr. Crocker also holds an honorary doctorate in mathematics from the University of San Martin de Porres in Lima, Perú. In 2012, Dr. Crocker was inducted into the Internet Hall of Fame - Pioneer Circle, recognizing him as an individual who was instrumental in the early design and development of the Internet. Steve Crocker was selected by the 2008 Nominating Committee to serve as a Board Member. He had been Chair of ICANN's Security and Stability Advisory Committee (SSAC) from its inception in 2002 until December 2010, and he served as SSAC's non-voting Liaison to the ICANN Board until being selected by the Nominating Committee. His first term ran from the end of the 2008 annual general meeting through the conclusion of the 2011 annual general meeting. He was selected by the Nominating Committee to serve a second term, starting in October 2011 and running through the Annual General meeting in 2014. He has been selected by the Nominating Committee to serve a third term starting in October 2014 and running through the Annual General meeting in 2017. Steve served as Vice-Chair from December 2010 until June 2011, and has been serving as Chair since then. 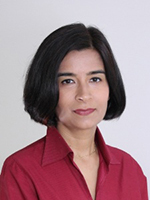 Asha Hemrajani is a senior corporate executive with over 20 years of experience in management consulting as well as in the mobile communications sector with leading multinational telecommunications corporations. She has worked on pioneering technologies to bring mobile internet to the forefront, while observing firsthand the impact of mobile networks on the development, operation and growth of the internet in emerging economies. Her early work covered mobile radio network design, planning, optimization, performance evaluation and large-scale project management with a leading telecommunications service provider in Hong Kong, Hutchison Telecom. Subsequently her work focused on cutting-edge wireless infrastructure technologies at Nokia and Nokia Siemens Networks (NSN). At Nokia she held various director level roles covering network design, strategic and financial planning, business development, infrastructure marketing and sales covering the Asia Pacific and the Greater China regions. At NSN, Ms. Hemrajani was head of global sales for the 3G/WCDMA wireless infrastructure business line, the second largest and most geographically diverse business line. She held and managed global profit and loss responsibility and implemented NSN's strategic plan for growing market share and revenue in diverse global markets. She was later appointed Head of Business Development for 4G/LTE Radio Programs with responsibility for defining go-to-market and solution sales strategies globally for NSN's fastest growing business line. Her roles at Nokia and NSN have involved working with stakeholders from multiple backgrounds and cultures. Since 2014, Ms. Hemrajani has headed the Business Evaluation Centre, part of Knight Griffin, a management consultancy practice based in Singapore, specializing in calculating the financial value of projects to assist in advanced decision making and business operational tuning. Of Indian origin, Ms. Hemrajani was born and raised in Hong Kong, People's Republic of China. She was educated in Hong Kong, the United Kingdom, the United States and Singapore, which providing a wealth of international experience early in life and allowing her to understand and navigate multi-cultural issues. She holds a Bachelor of Science degree in Electrical Engineering and completed the Stanford University Graduate School of Business Executive Program in International Management. She is a member of the Institute of Directors in Hong Kong as well as Singapore, and has completed significant coursework on corporate governance and mediation. She has also served with multiple charitable organizations. Ms. Hemrajani was selected by the Nominating Committee to serve on the ICANN Board starting in October 2014 through the ICANN Annual General meeting in 2017. 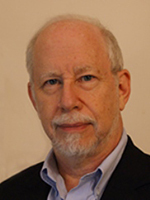 Alan Greenberg has over forty-five years of experience with computing and networking technologies. For much of his career, he worked for McGill University in Montreal, Canada. Over the years, this included software design and development, education technology support, management and policy development. He was one of a handful of people who brought the Internet and its predecessor networks to Canada and worked on a variety of Canadian and international networking initiatives. He has taught courses in computer architecture and design, as well as managed the Internet Society (ISOC) workshops which taught personnel from 150 developing countries how to build, support, manage and use the Internet in their countries. He was also an elected member of the ISOC Board of Trustees from 2001-2004. After his retirement from McGill, he continued to focus on the effective use of technology in developing countries. Projects included how to effectively spread the use of technology to benefit the country and its people; and a study of the linkages between technology and poverty, and how technologies can be effectively used for poverty alleviation, and how web and specifically mobile technologies can benefit developing populations. Alan was appointed to the ALAC by the Nominating Committee 2006-2010 and again for 2012-2014 and has served as the ALAC Liaison to the GNSO since 2006. While serving in these roles, he spearheaded ICANN policy development initiatives related to gTLD domain name registration and protecting registrant rights. He served on the Affirmation of Commitment Accountability and Transparency Review Team in 2013, and has participated in or managed many ALAC and GNSO working groups. Jimmy started his IT career in 1982 when the 13 year old boy touched the keyboard of a Commodore PET2000 for the first time. In 1989 he bought his first modem and started to explore the connected world. Next steps were some Computer Magazines and CompuServe until he decided to found his first Internet company CyberSolutions in 1995. Among other things the company developed one of the first IP Billing Systems (BigBrother later Exabill IP) and went to the stock market together with the mother company in 2000. Having been disappointed about Internet politics Jimmy sold his company and joined the German liberal Democratic Party (FDP) in 2000. In 2009 he was elected as a member of the German parliament. For his party he was leading all the relevant commissions in the German parliament. He became famous for holding the first speech in a national parliament using an iPad. Jimmy was the first and only German parliamentarian attending an IGF, ICANN IETF, EuroDIG, WCIT, NETmundial. In 2013 the FDP missed the threshold of 5%. Mr. Chiao has more than 15 years of professional experiences in the Internet, domain names, and mobile industry. He has been serving in many leadership positions, covering policy, technical, sales & marketing, and financing roles. His most recent venture is Brandma.co Limited, a cloud technology company empowering cost-effective, China-centric brand protection solution for the New gTLD era. He is one of the founding members of DotAsia Organisation, the registry operator of ".asia" Top-Level domain, since early 2004 when the entity was still in its formative stage. He served as DotAsia's Vice President for 6 years, overseeing the registry launch process, regulatory liaison, business development, etc. On early 2013, he was elected to serve as Director of the Board. Prior to joining DotAsia, he was the Director of International Affairs and Public Relations of Taiwan Network Information Center (TWNIC, .tw ccTLD registry). He also managed the IPv6 program office and served as the APTLD (Asia Pacific Top Level Domain) Secretariat for four years. From early 2000 to mid-2002, Ching was with the NYC-based Register.com, one of the leading Internet hosting and domain registrars in the world. He was responsible for sales and business development in the Asia Pacific region. He has been involved in ICANN's multi-stakeholder process for more than 10 years. 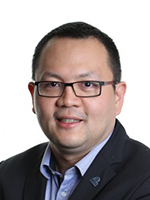 Ching is currently an elected Councillor to ICANN's GNSO Council, and a voting representative at ICANN's gTLD Registry Stakeholder Group. In mid-2009, Ching was appointed as the Chair of the APNG (Asia Pacific Networking Group), one of the earliest community organization dedicated to Internet development and educational program (a.k.a. APNG Camp) in Asia Pacific region. Ching has been elected to serve consecutively as Board Supervisor of Taiwan Internet Association (TWIA) since 2006. Ching earned his MBA from State University of New York at Binghamton, and Bachelor degree of Statistics from Tamkang University in Taiwan. Carlos Raúl Gutiérrez began his involvement with ICANN as Costa Rica´s GAC Representative to the Senegal Meeting (ICANN42), and to subsequent meetings until January 2014. 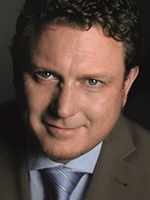 In 2011 he co-founded the ISOCs' Costa Rica Chapter, which he chairs since 2014. The Costa Rica Chapter is an organizational member in both the NCSG and ALAC. During 2013 he was member of the second Accountability and Transparency Review Team under the Affirmation of Commitments (ATRT2). He was confirmed in 2009 by the Costa Rican Parliament for a 5 year term as Commissioner for the newly created national regulatory agency SUTEL. This agency was created for the opening of the telecom market in Costa Rica, launching the first spectrum public auction which allowed two new wireless operators onto the market and opened direct international access for all ISPs. While at SUTEL, he was directly involved in the development of the Universal Service Fund for Costa Rica, endowed with the proceeds of the spectrum auction and further contributions from network operators. 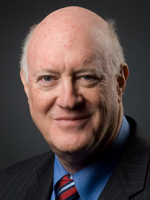 He chaired SUTEL in 2012, as well as the Latin American Association of Telecom Regulatory Agencies (REGULATEL) in 2013. 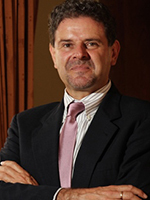 For the previous 2 decades, Carlos Raúl worked as consultant and executive for Swiss companies worldwide, with particular focus on energy. During the 2000s, he worked on emission reduction projects for the Clean Development Mechanism of the Kyoto Protocol of the UNFCCC, where he got first-hand experience of Governments working jointly with Industry and Academia in the initial efforts to develop markets for greenhouse emission reductions. This early multi-stakeholder effort did not make progress at the time to deal with this important externality. He earned his Master's degree in Economics from the Hamburg University in 1983 (Friedrich Ebert Stiftung Fellow) and his Master's Degree in Public Administration from the John F. Kennedy School of Government, Harvard University (Fulbright Fellow) in 1988. Carlos Raúl is the very proud father of 3 daughters and 2 sons, and holds dual Costa Rican and Swiss citizenship.